BATESVILLE, Ind. 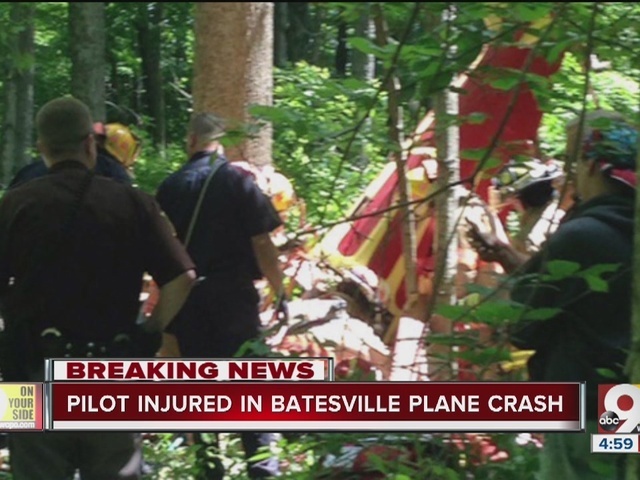 – A small plane crashed near a Batesville airport Wednesday. The crash happened at about 11:44 a.m. in a wooded area near Batesville Aviation Service Airport, according to Indiana State Police. The 50-year-old pilot, later identified by police as Terry Fruchtnicht, was the only occupant of the plane, according to a state police spokesman. Emergency responders spent 30 minutes freeing the pilot, who was flown to University of Cincinnati Medical Center for treatment of injuries that were serious but not life-threatening. As is typical in plane crashes, the Federal Aviation Administration responded to the scene to investigate the cause of the crash, spending approximately five hours on the scene Wednesday afternoon. That investigation is still ongoing, police said. State police said the plane was made of wood with canvas material over the wings. More details weren’t immediately available.